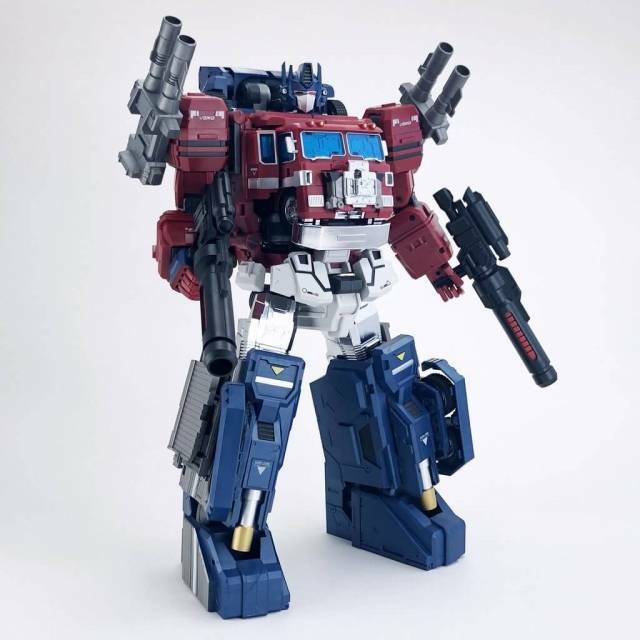 The next great custom figure set from Fansproject - the Crossfire 02 Set, features Munitioner and Explorer, a combat support vehicle and space shuttle set respectively! 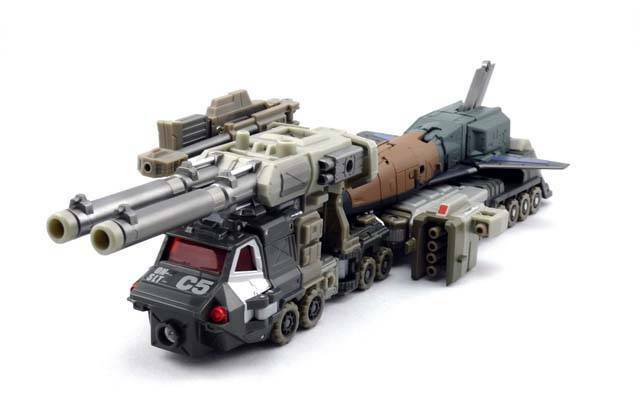 Note: Munitioner (Combat Support Vehicle) and Explorer (Space Shuttle) are each sold separately, and both must be purchased in order to combine with Bruticus as shown. 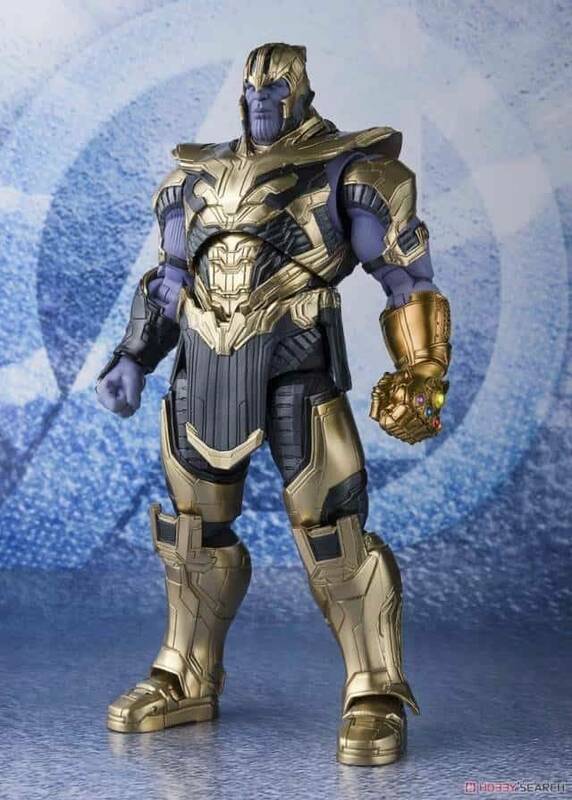 Includes 16 points of movable joints, high quality with attention to detail,and arms with dual joints for a wide range of motion. These two pieces come individually packaged and include parts to combine as shown. Parts list of explorer to come! Along with Munitioner, Explorer is my first purchase of a third-party Transformer, and I have to say, it's worth every penny spent on it. The engineering and design that went into the creation of this toy cemented FansProject's spot as one of the best, if not the best, third party Transformers company. Explorer's design gives him a different feel compared to his other Combaticon companions. Despite the Combaticon namesake, having a sword/axe/machete weapon gives Explorer, and Bruticus as well, that dangerous potential not only from far away as but also up close. I would give this product 6 stars, but the drop down only lets me give this up to 5. So awesome, even if you don't have Bruticus! I picked up only Blast Off here from the FP set, and let me tell you, even if you don't have Energon Bruticus, he's still SO WORTH THE PRICE! 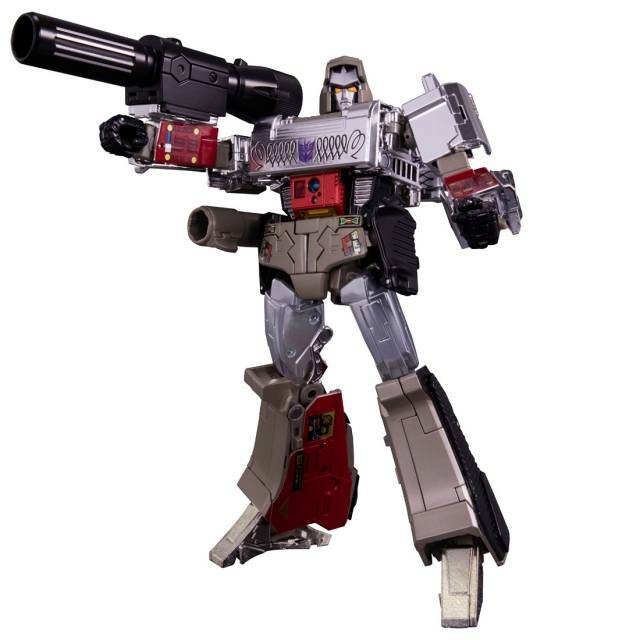 I consider him "Master Piece" Blast Off seems he is so well rendered as both bot and shuttle that it blows my mind that Hasbro doesn't commission Fans Project to re do ALL the G1 combiners. Blast off is colored in his Brown and Purple scheme and his articulation is nothing short of perfect. 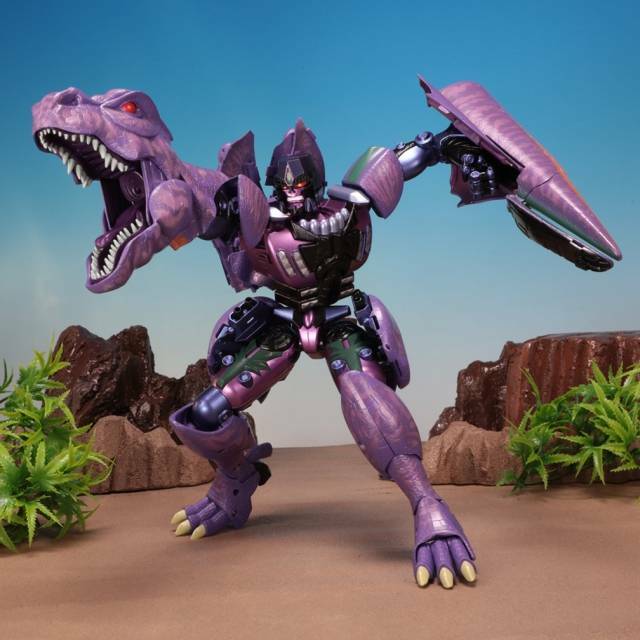 His transformation is easy, and secures nice and tight in both modes so you don't have lose parts bopping around. His weapon set is outstanding but my favorite is his Sword (which forms the tail fin of the shuttle). If you loved the G1 Combaticons, do yourself a favor and pick these guys up...you won't regret it! I purchased both Explorer and Munitioner, and have been very pleased. These will be the first customs in my collection, and I'm glad they are. This IS Bruticus. FansProject's XFire 02 = Awesome Incarnate!! Crossfire 02 A & B are little bundles of Awesome! I’m glad I splurged on them. 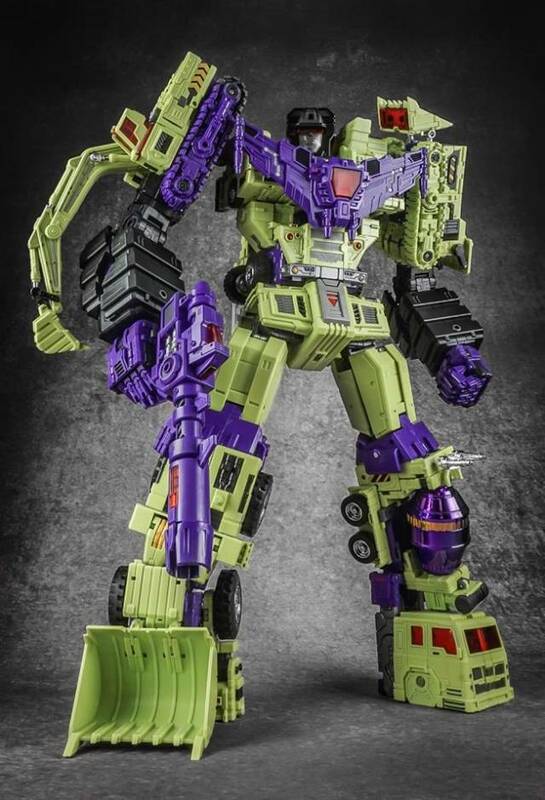 I'm going to focus a bit on the parts most of the reviews I've seen so far skip over: namely how the vehicles are upgraded, especially Onslaught. But first, the new figures: XF-02b Munitioner, aka Swindle, & XF-02a Explorer, aka Blast Off (I'll be randomly switching back & forth on the names). I'm starting w/ Swindle, cause I always liked the greedy little weapons specialist, who it's said can sell oil to an Arab Sheik. FP's Swindle's so slick, he could probably sell health insurance to someone on their death bed w/ his affairs in order! lol Seriously, the guys at FansProject didn't do what Hasbro so often does & cut corners on paint apps, no. They gave Munitioner no less than 7 different colors. Every head/ taillight is painted: silver or red! These little guys are nearly as possible as we humans are (about all that’s missing is wrist articulation)! Some people complain about Swindle's backpack kibble, but they fail to realize that's exactly how his original toy did it... That's an homage folks. Munitioner's robot mode is almost identical to his original toy’s, give or take more detail, possibility & coloring. A nice touch many seem to miss is that Munitioner has little, almost unneeded heels. They provide that extra bit of stability so you don't accidently knock him over, but I've seen him stand w/o them. & everything lines up & the transformation joints are tight (a bit too tight for comfort in some spots, but workable). Munitioner feels the more solid of the 2. & they didn't stop w/ Swindle when they were passing out massive numbers of coloring. Explorer got at least 6. 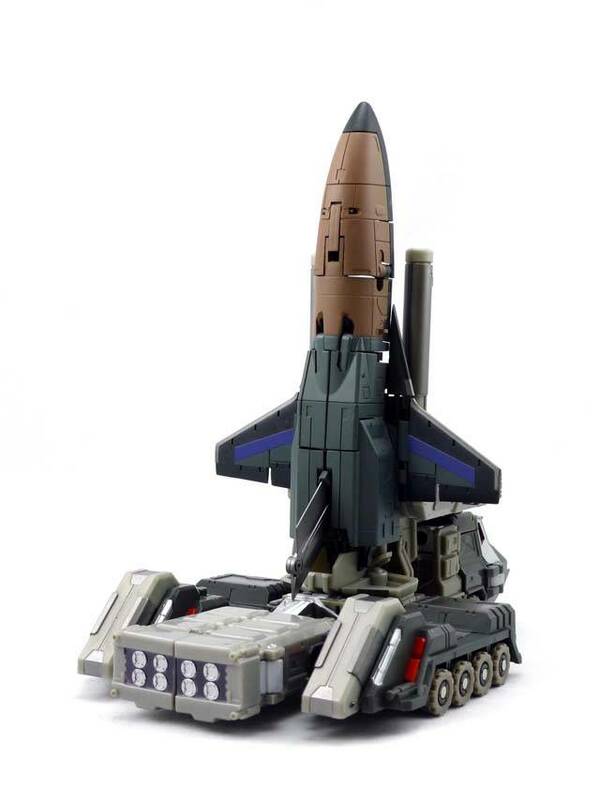 FansProject did a bit of reimagining of Blast Off: They found a way to make him in scale w/ his fellow Combaticons: he's now an Experimental NASA Unmanned Shuttle Drone, an X-34 (check Wiki if you don't believe me). Also of note, Explorer's length in X-34 mode is just a tad longer than Classics Astrotrain (a Deluxe), but his robot mode is in scale w/ the other Combaticons. Explorer's plastic seems a bit thin, but I've had no issues transforming him back & forth. The plasic used feels different than Hasbro's; it feels like the plastic used on my Toynami Masterpiece Robotech Beta Fighter. Explorer is a really nice, detailed copy (again, w/ a few updates) of Blast Off. His tailfin becomes an ax & can unfold into a long sword, which appropriately looks like a combat knife when held by Bruticus. On my Explorer, his head is a tad loose (but still holds in place... & is tighter than Vortex's head). The peg for Bruticus' fist is also a bit loose, which seems to be an issue on EVERYONE’s from what I've read online. I've counted 4 colors on most of the accessories, w/ plenty of detail. Everything has a place in all modes (guns & missile pods in Robot modes) except the fist-guns in Onslaught's new Launch Pad Mode (another G1 homage), which I found a place for them (tucked into the holes in Bruticus’ the feet) anyway. Onslaught & Vortex feel, at least to me, to double in weight w/ all the parts they get. Vortex gets missile pods & landing struts in vehicle form, & Onslaught goes from Missile truck to his G1 Anti-aircraft flat bed, which can haul Blast Off. 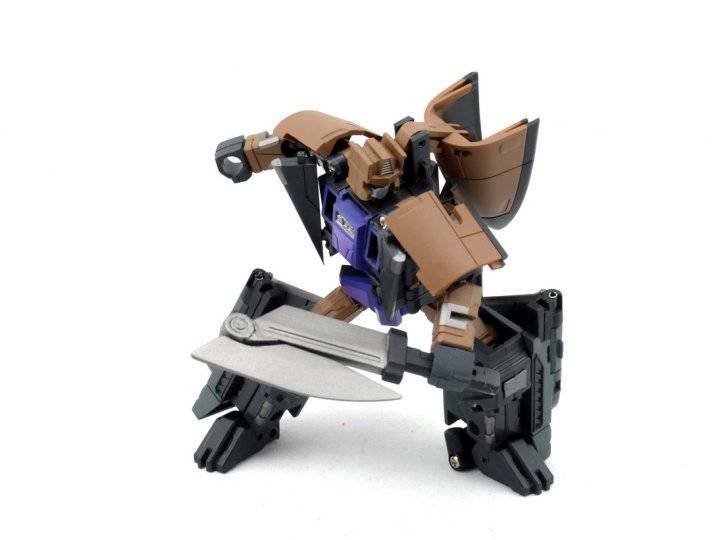 In Launch Mode, though it doesn't attach to Onslaught, Bruticus' groin plate attaches to Blast Off's feet to hold him stable/ vertical on Onslaught's launch platform. At times, I've been able to lift Onslaught w/ Blast Off in launch position w/o Blast Off tipping over! Many people don't care about the vehicle forms, but I love the improvements to these 2 (Brawl just get's the 2 remaining guns, but it's still a G1 homage). Ironically, FansProject left Swindle, the Combaticon weapons specialist, w/ a single gun in vehicle mode & Blast Off completely unarmed as a shuttle drone. 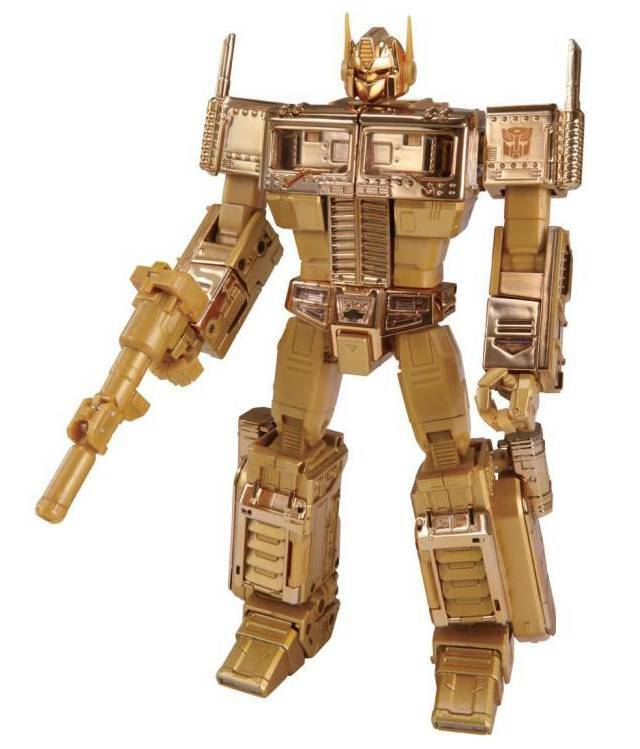 But that's ALSO a G1 homage. 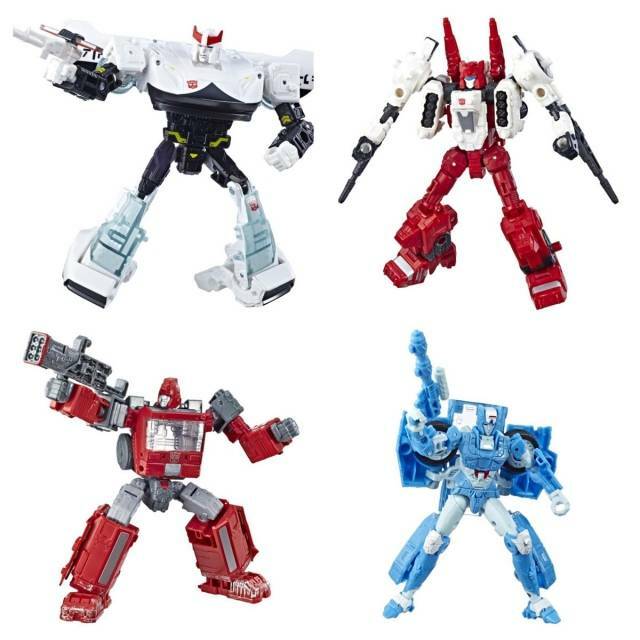 In fact, the entire set appears to pull G1 homages out of thin air! 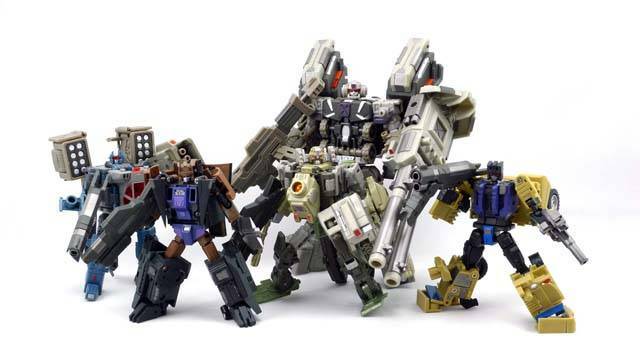 Which brings me to the combined mode: Colossus/ C3, aka Bruticus! This is the main reason these figures are so popular, a G1 accurate Bruticus. Even in the Energon colors (which I have), the only color match issue (FP matched these to RotF) isn't w/ Bruticus, but w/ Onslaught's vehicle mode (& even that is a minor issue, & a nonissue once you realize the color issue is on a trailer, not the truck pulling it). Energon Onslaught's blue & grey look WONDERFUL on Bruticus. Before I started this review, I went over Bruticus' articulation: the original Hasbro configuration had 13 points of articulation, at best; FansProject TRIPLED it to at least 40 (15 & 44 if you count Brawl's cannons & the groin armor)! 10 of those new articulation points are in EACH (21 if you count both) of Bruticus' new, fully articulated hands! As Bruticus, every piece has a place. 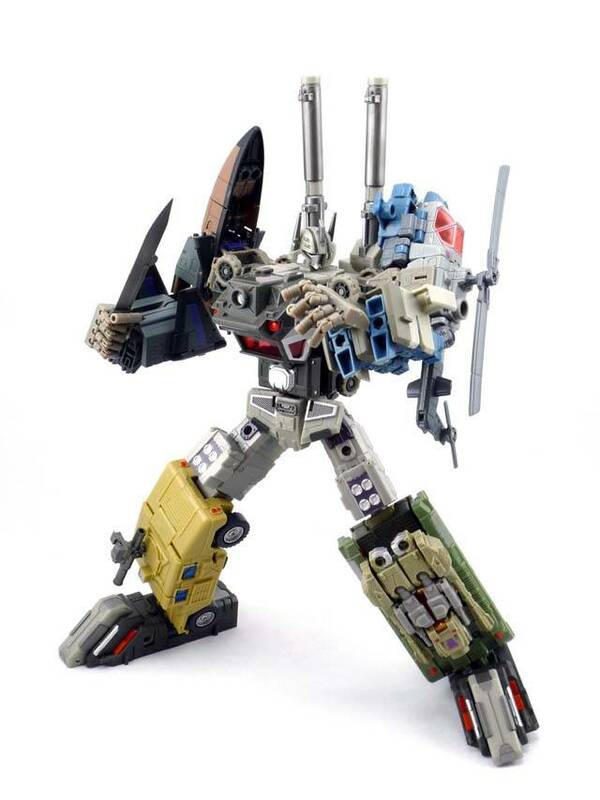 Even Blast Off's ax gets stored on Bruticus' left forearm. 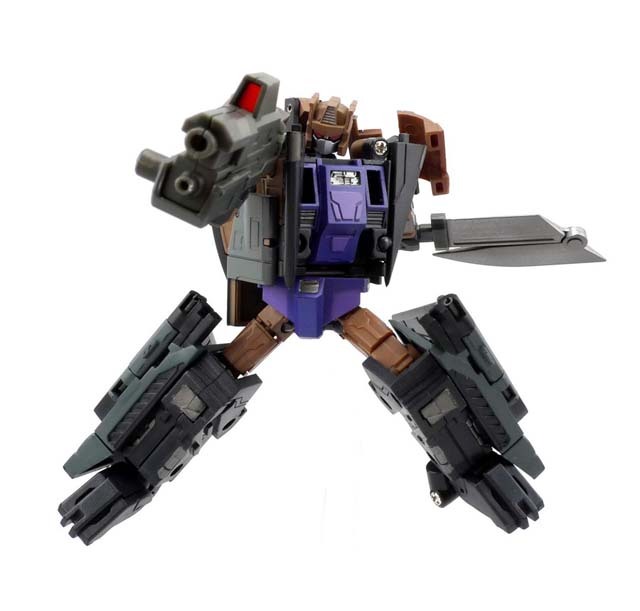 Though the Anti-material Riffle doesn't have a specialized place for storage if Bruticus' shotguns are both on his backpack, it can be tucked into the connection point for Onslaught's vehicle mode (the handle for robot mode) which holds in place well enough. 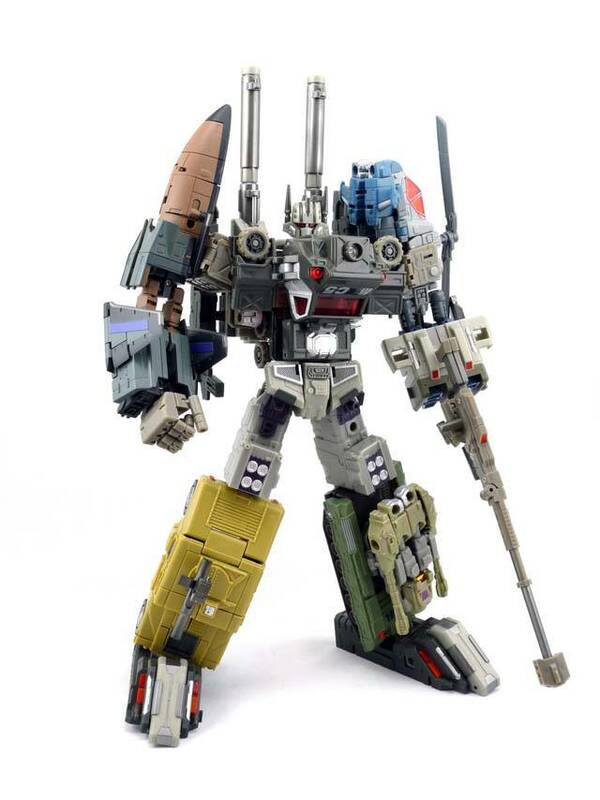 Another unnecessary detail FP added were that the cannons on the backpack can fold down on either side of Bruticus' head! The backpack does have a minor issue: There’s a dual peg/ hole system that only partly works: the peg on the pack doesn’t always hold, but the hole next to it is quite enough to hold the backpack on anyway; pressure solves this. I recommend FansProject's Xfire 02 set to any TF fan, & it's a must have for any Bruticus fans! This set takes a mess & recreates it as perfection. Reading the instructions is a must! These kits make this areal Bruticus, without it its just a transformer, with this add-on kit, this becomes a beast ready for battle, i highly love this set. Well balance and compliment Bruticus nicely. The feet allow him to stand on a bed matress and will not allow hime to fall dispite all the massive weapons in hand, he stands up fine. WOW.